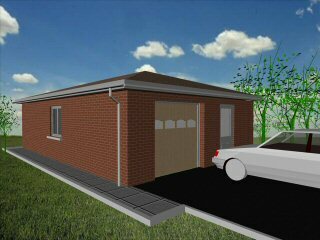 This domestic single car workshop garage is ideal for parking the family car. Extra space is provided to allow a workshop area to be formed at the side of the car parking space. If a workshop is not required then the space can be used for storage or parking a motorbike. 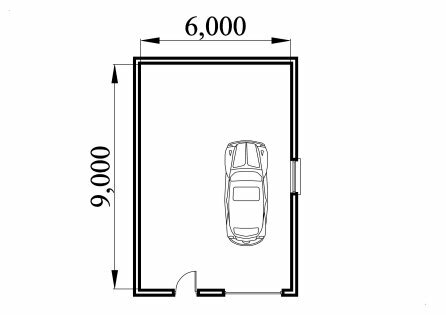 The pedestrian door is located at the front of the garage, this is useful if access around the outside of the garage is restricted. The 7 feet wide garage door allows easy access to the garage. 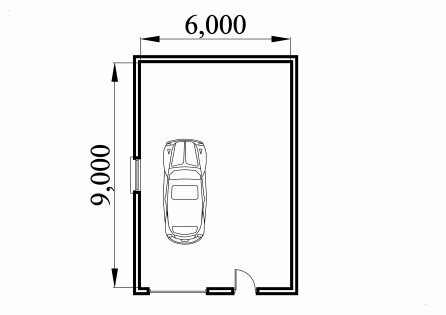 The extra length to the garage allows the car to be parked at an angle so that all round access can be achieved. 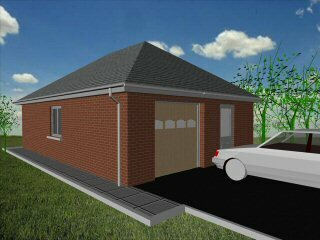 The cavity wall construction provides water proof construction.